Grab your hat and camera for the largest ice sculpture walk on Boston's Waterfront and don't forget to stay for the New Year's Eve Midnight Harbor Fireworks. Boston Harbor Now and Waterfront businesses present 16 unique ice sculptures along Boston's waterfront in celebration of New Year's Eve in partnership with New Year's Eve Midnight Harbor Fireworks. 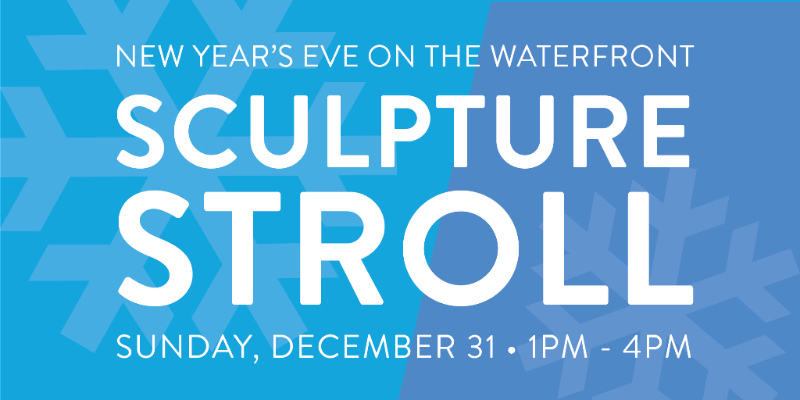 Spend Sunday, December 31st from 1 pm to 4 pm along the Boston Harbor and marvel at the icy works of art. Download the stroll map. Enter the "Selfie Contest" for a chance to win a "staycation" prize pack! Enter to win a Staycation Giveaway prize package valued at over $1000 by visiting the waterfront this New Year's Eve. Prize include an overnight stay at a luxury hotel property, meal vouchers to area restaurant, a winter cruise and other exciting local experiences. 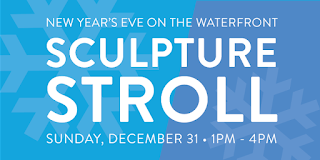 Post a photo of yourself with any participating Waterfront Ice Sculpture Stroll ice sculptures OR Harbor midnight fireworks. Tag @BostonHarborNow in that photo on social media (Facebook, Twitter, or Instagram). Register via Eventbrite page and be automatically entered into the raffle drawing for the Staycation Giveaway prize package. One entry per Eventbrite account will qualify. Random drawing for the winner will be done from all qualified entries on Wednesday, January 3, 2018. Countdown to 2018 with Midnight Boston Harbor Fireworks, viewing locations at Christopher Columbus Park, Fan Pier, Piers Park, starting at 11:59pm. If you have friends visiting, there is a new garage in town, One Seaport Garage located at 75 Sleeper Street (across from the Envoy Hotel) is now open.